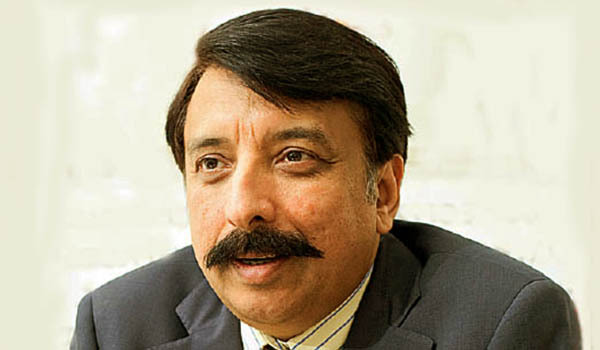 There are much richer Pakistanis in the world, richer than Fawad Rana - Qatar Lubricants Company (http://qalco.qa/), owner of Lahore Qalandars Team of Pakistan Super League (PSL), who are not willing to spend even a penny for Pakistan, but this man proved the love for his country through his participation in such a great event. He shared his Rs 400 million worth with Federal Board of Revenue (FBR), paid all taxes and invested in Pakistan Super League (PSL). He later promoted the team in Pakistan as well as in Gulf countries and that too with his own money. He didn't ask for anything from anyone and deserves utmost respect for doing something for his country. The internet warriors who bashed and made fun of him were acting like complete idiots. Respecting and providing free entertainment to one’s nation is not a joke. Fawad Rana is the Managing Director of QALCO (Qatar). He is among the famous businessmen of Pakistan. He was the first one to step forward to announce a team for Pakistan Super League and played a vital role in making PSL to that degree of success. After announcing team, he paid well for bidding of foreign players and local players as well. Fawad Rana is working now a days for giving chance to new and young players to show their talent. Lahore Qalandars is a Pakistani professional cricket franchise which plays in the Pakistan Super League. It nominally represents the city of Lahore and the Punjab Province in the league. The team is owned by Qatar Lubricants Ltd. The team is currently captained by Brendon McCullum and coached by Paddy Upton, a former South African cricketer. Lahore Qalandars is considered as the 2nd most expensive franchise and is one of the few teams sold to an international company. In 2015, the Pakistan Cricket Board (PCB) announced that the inaugural season of the Pakistan Super League (PSL) would take place in February 2016 in the United Arab Emirates. On 3 December 2015, the PCB unveiled the owners of five city-based franchises. The Lahore franchise was sold to the Qatar Lubricants Company for US $24 Million for a span of ten years, making it the second most expensive team of PSL (after The Karachi Kings, which sold for US $26 million). In 2016, the Lahore Qalandars franchise organised Jazz Rising Stars trials across eight Pakistani cities, to identify upcoming youth talent. Shortlisted players would travel to Australia and train with Sydney Thunder, while the top two performers would get the opportunity to play for the Qalandars. During the programme an ambidextrous fast bowler, Yasir Jan from Rawalpindi, was identified by former Pakistan fast bowler Aqib Javed. The Lahore franchise was launched on 12 December 2015 by owner Fawad Rana. The "Q" in the Qalandars was linked to both represent both Qatar and QALCO and Rana added that the name was chosen to highlight the Sufi culture of Lahore – "Qalandar" is a common term used in Pakistan to describe Sufi mystics or saints whose shrines attract millions of devotees and tourists. The team's logo features a Sufi performing the famous Sufi whirling with three stumps to his right and a cricket ball in the bottom, and is meant to represent the Sufi culture of the region. The Qalandars' kit colors in first season was red and black Qalandars launched new kits ahead of second season, with the red turning green at grand musical event. Same night Film star Shaan Shahid joined the side as the brand ambassador of the club for second season. Mobilink was the team's first shirt sponsor and the title sponsor. Alkaram, a Textile Mill situated in Karachi, was announced as another sponsor and the media partner of the team is Geo Tv. Royal Palm is team's hospitality partner. Lahore Qalandars' official song was sung by Pakistani musician Asrar. The theme song was used by the franchise to promote the team on social media and was played during the opening ceremony when the team made its first entrance.